A group of scientists found and killed a 17-foot Burmese python at the Big Cypress National Preserve in the Florida Everglades last week. 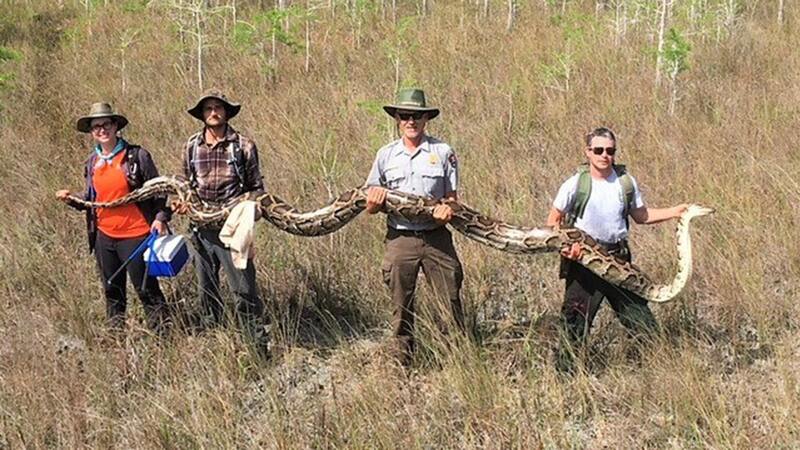 The pythons captured by researchers in Florida typically measure between 6 and 10 feet, researchers said. The Everglades is a vast area with a tropical climate ideal for pythons to hide and thrive, CNN reported. The python weighed a whopping 140 pounds. Rita Garcia, a spokesperson for the Big Cypress National Preserve, said the eggs were destroyed and the snake was euthanized. The snakes pose significant threats to native wildlife. The inaugural Python Challenge was organised in 2013 by the Florida Fish and Wildlife Conservation Commission and some 1,600 people had registered for this. The searchers found only 68 snakes.